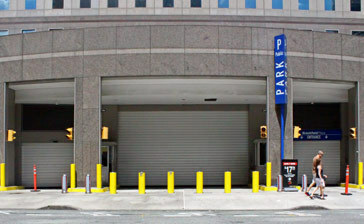 Parking.com offers convenient visitor parking for One World Observatory. 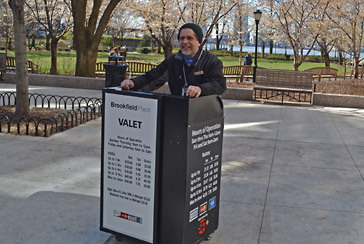 Click on the map shown for more information on parking in NYC's downtown Financial District. 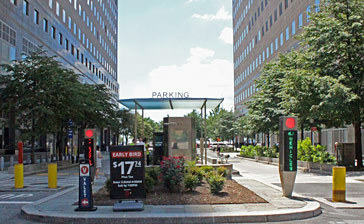 Save yourself the hassle of looking for parking, reserved parking is available at select locations. Simply click on the "Reserve" button next to the location name to pre-purchase your parking spot! Get a bird's eye view of NYC, New Jersey, and beyond with a visit to One World Observatory, located at One World Trade Center, one of the tallest buildings in the Western Hemisphere. Conveniently located off of the Observatory are three casual and fine dining areas—One Café, One Mix, and One Dine, where diners can enjoy spectacular views with artisanal food. 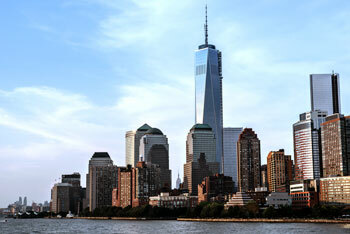 Within a short walking distance from the Observatory are many of NYC's finest attractions including the 9/11 Memorial, Brookfield Place, and Hudson Eats.